Rajasthan is a mine of the gems, not the stones, but the amazing geographical locations! Every time you spend your holidays exploring tourist places in Rajasthan, you get something new. Rajasthan is rich in every aspect, from history to culture, and from traditions to fantastic architecture. You might have heard about a specific place in Rajasthan, but never been there. Here in this article, a few off-beat places are enlisted that complete your Rajasthan holidays. 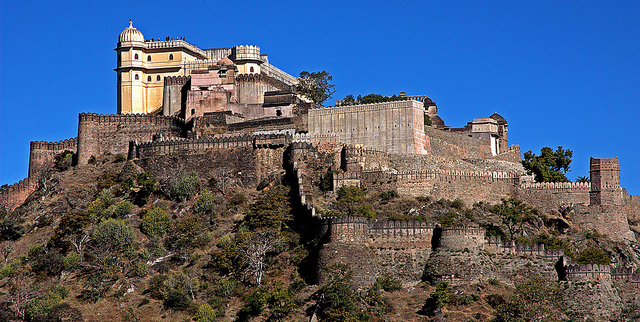 One of the most unbeatable and toughest forts, Kumbhalgarh fort, is the prominent fort in Mewar region of Rajasthan. Rana Kumbha built this fort where later the great Maharana Pratap was born. The fort is surrounded by Aravali ranges and has 15 feet broad and 36 kilometres long wall which exhausted the Mughal forces. A great experience of living at the centre of the desert can be availed by residing in Manvar Desert Camp, located on Jodhpur-Jaisalmer highway. The resort in the camp is nothing but an oasis in the desert. The humming sounds of different birds are always charming and can be enjoyed while stretching back in the pool or at the massage room. The village homes and the campfire is a great experience. The city of Bundi is mentioned in the pages of history due to its prime location. The fort of Bundi has been invincible. Bundi possesses pre-historic stone-paintings; similarly, the palace of Bundi is jewelled with amazing murals and mirror-work. While taking a walk around the city, you will notice the rich Rajasthani culture and traditions. Some ancient temples and Nawal Sagar Lake in Bundi are also worth visiting in your Rajasthan Holidays. Pushkar is a perfect place for spiritualists and explorers. The city has more than 50 Ghats and 400 Temples. The five-day camel fair, known as Pushkar Mela is conducted during the month of Kartik and turns the town into a colourful place. The city has the only temple of Lord Brahma in the entire world. According to a belief, the Pushkar Lake is a creation of Brahma; hence stands to be a sacred place for Hindu pilgrims. Nearest railway station: Pushkar Terminus. Kuchaman Fort is located near to Kuchaman city, at the altitude of 1100 feet. The structures in the fort are decorated with the glass-work, golden inlays, and some colourful precious stones. There are several Mahals in the fort such as Meera Mahal dedicated to saint Meera Bai, Jal Mahal for the queens of the fort, Sabha Prakash or the courtyard for common people, and so on. The stunning Sheesh Mahal never is splendid lets you go away. These were the five off-beat destinations in Rajasthan that you should not miss on your Rajasthan holidays. Get a Rajasthan Travel Guide from your tour operator or the Rajasthan Tourism Department and enjoy your trip without a glitch. Psychic, not Psycho. Can kill for chocolate. Wanderer. Gallivanter. Bombaywaasi. Learning to be Cheesy. Spine lover.